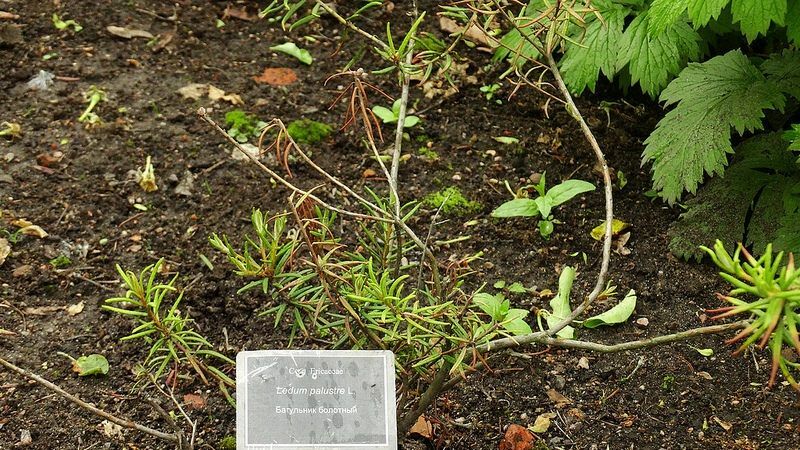 Ledum Palustre, botanically known as ‘Rhododendron tomentosum’ is a medicinal plant with numerous therapeutic advantages. The presence of various phytochemicals, essential oils, and other health-promoting components makes it beneficial for the treatment and management of various diseases and disorders. Ledum Palustre is a potent anti-diabetic, anti-microbial, anti-diarrheal, antioxidant and anti-inflammatory agent. Ledum Palustre exhibits promising anti-diabetic potential by increasing the uptake of glucose by the cells. In this way, glucose is used as a source of fuel for the body. Hence, the presence of excess glucose in the bloodstream is inhibited and a spike in the blood glucose level is prevented. Essential oils present in ledum palustre fight against gram-positive and gram negative bacteria and protect against the onset of infectious diseases. Compounds present in these essential oils inhibit the growth of Vibrio parahaemolyticus, a gram-negative bacteria that cause gastrointestinal illnesses. Research has observed that topical application of ledum palustre reduces postoperative edema or water retention. It promotes skin healing and reduces accumulation and retention of excess fluid and sodium in the body. Ledum palustre is a natural expectorant that is used to treat congestion and cough caused by common cold or other breathing illnesses. Such an effect was attributed to the presence of terpenes in ledum palustre. Research has found that medicine comprising of ledum palustre is effective in the management of rheumatoid arthritis. As ledum palustre is an anti-inflammatory agent it fights inflammation and reduces the production of inflammatory compounds which are otherwise very high during rheumatoid arthritis. It may also help in reducing symptoms such as swelling, stiffness, redness, and tenderness. Of the above-mentioned compounds, quercetin and catechin were most abundant. Besides above-mentioned benefits, ledum palustre is advantageous for the treatment of wounds, skin disease, insect bite, rheumatism, arthritis, joint pain, swelling, and eczema. However, more human studies are required to confirm its health benefits. Don’t know about the plant, but it’s always good to learn something new. Thanks!